A pair of sunglasses, riding your own private yacht, enjoying the breeze with beautiful Italian lady standing next to you, somehow this is really dreamy for guys, as well as for lady who hopes having a man like James Bond. I love Venice because it reminds me of my hometown, the smell of the seas, also the wind that blows to my ear made me homesick. I love it especially at night because I could see thousands of small lights shining all over the building and city. It is a pretty small town, so you would not need to be afraid about getting lost. 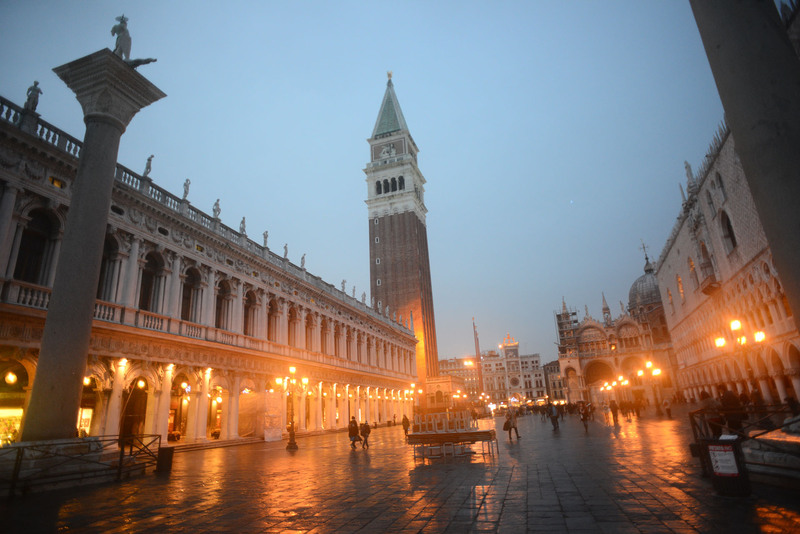 San Marco Campanile, Doge’ Palace could be accessed easily on foot. 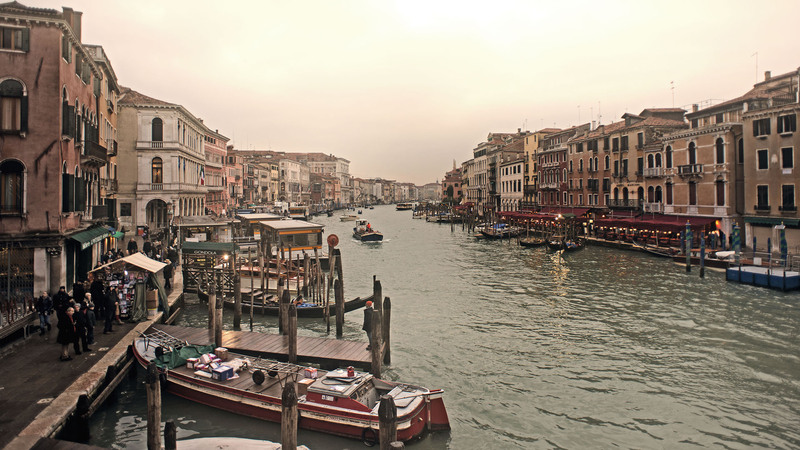 You could also try explore the canals by Gondola, which costs around $80 up to 6 passengers. I took Eurail from Milan to Venice, and the train station directly stop in the heart of the city, so I do not need land vehicle. 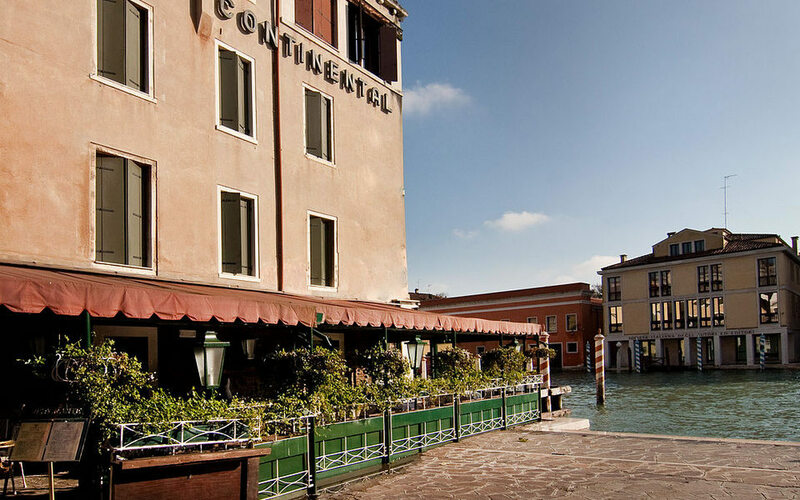 However, if your hotel is quite far from the station, then you should try Venice water taxi! I was staying in Continental Hotel, it is a four stars hotel. The hotel and service are okay, but some hotel room sections do not have elevator, so I have to drag my luggage up and down the stairs. The tap water in Italy is not for drinking, so if you are looking for water and snacks, there are also convenient/grocery store at the end of the street. Junk foods like Mc Donald has similar price with the one in Paris or the other European Nations, and also easily to be spotted. 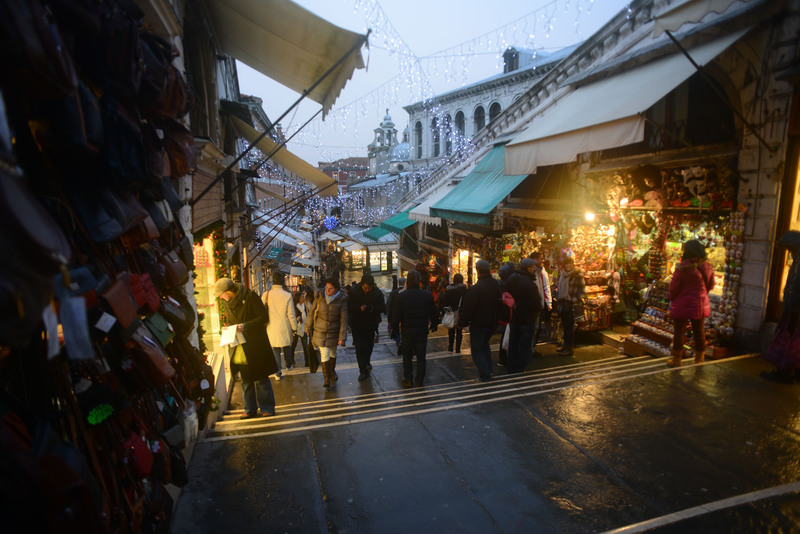 Was there in Winter, December 2012, Venice, Italy.